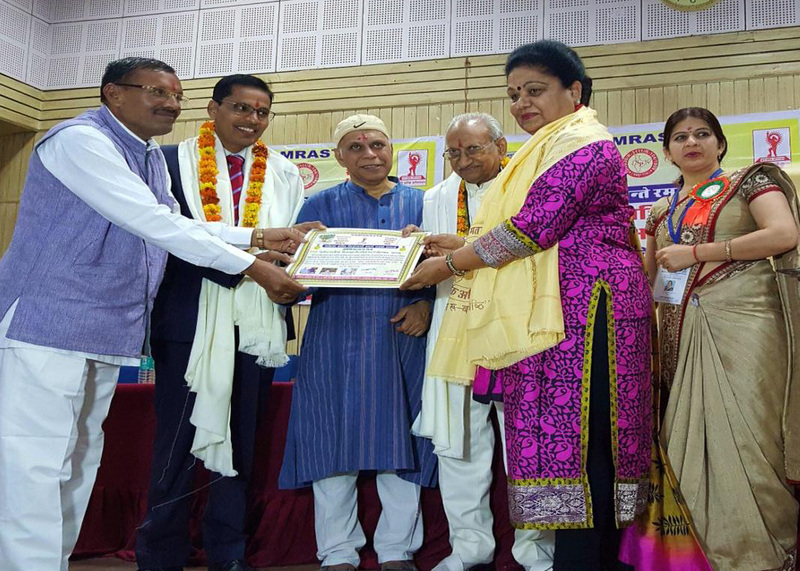 Hindi Vikas Sansthan, Delhi organized the coveted Hindi Olympiad on 23rd August 2017 at Lotus Valley International School, Gurgaon. 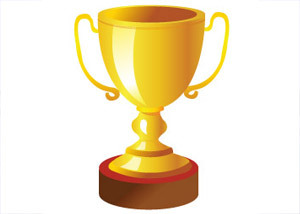 Students from classes IV- X participated in the test which evaluated their knowledge of Vocabulary, Grammar, Subject proficiency and knowledge of eminent literary figures of the Hindi Language. 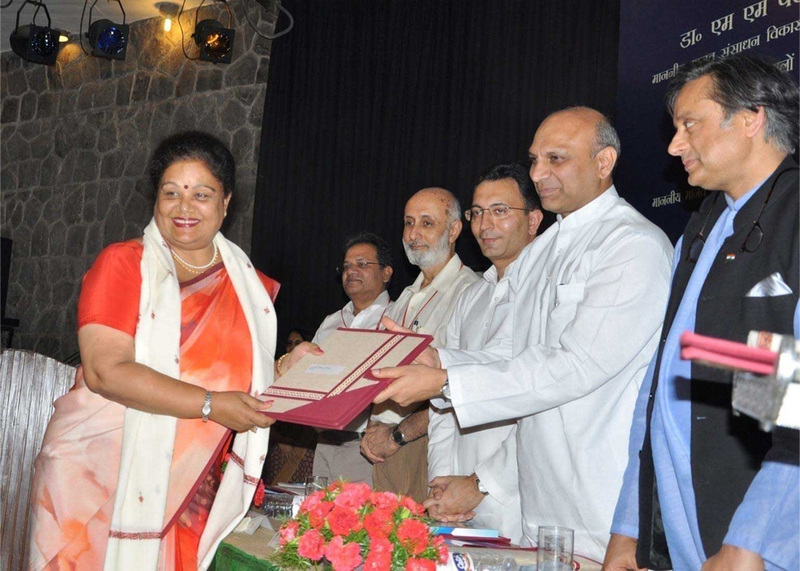 Students participated in the Olympiad with much zeal and vigour. 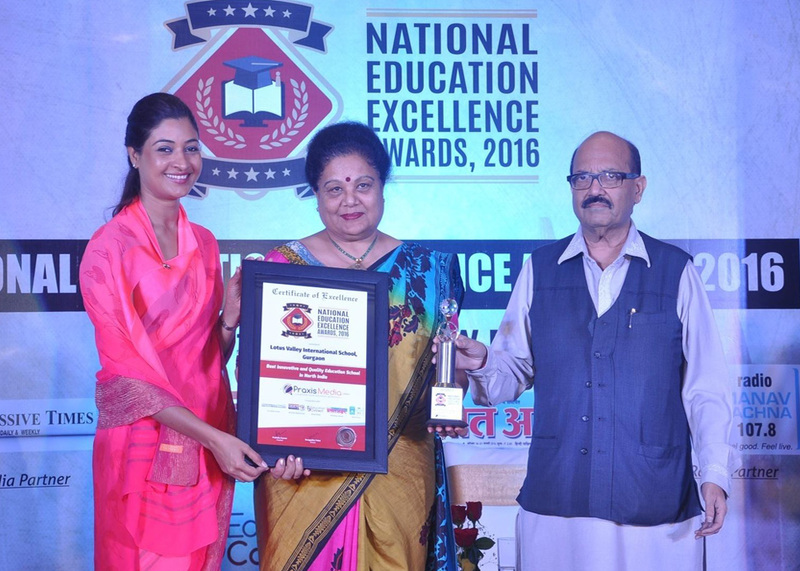 LOTUS VALLEY INTERNATIONAL SCHOOL, GURGAON HAS BEEN SELECTED AS THE “BEST INNOVATIVE AND QUALITY EDUCATION SCHOOL IN NORTH INDIA” BY PRAXIS MEDIA IN THE NATIONAL EDUCATION EXCELLENCE AWARDS CATEGORY, 2016 . 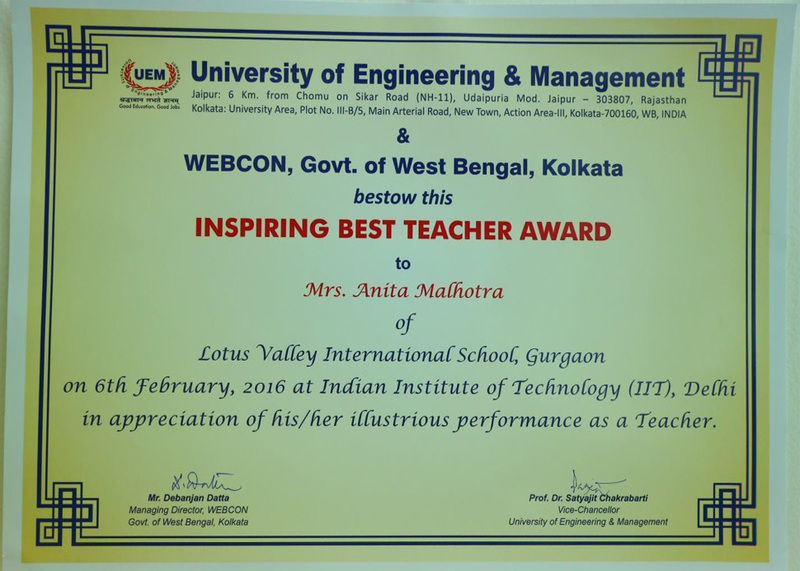 MRS. ANITA MALHOTRA WAS CONFERRED WITH THE “MAHILA SHAKTI SHIROMANI AWARD” ON 8TH MARCH 2016. 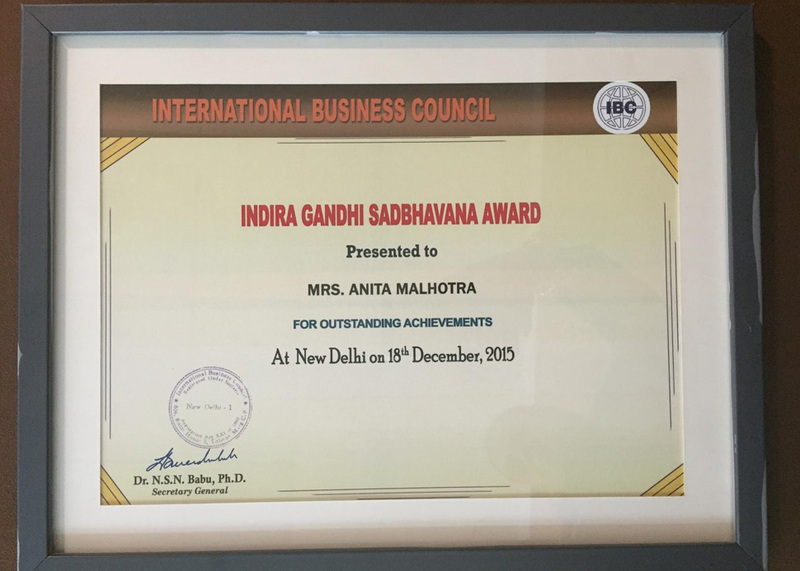 MRS ANITA MALHOTRA WAS AWARDED FOR INDIRA GANDHI SADBHAVANA AWARD FOR OUTSTANDING ACHIEVEMENTS AT NEW DELHI ON 18TH DECEMBER 2015. 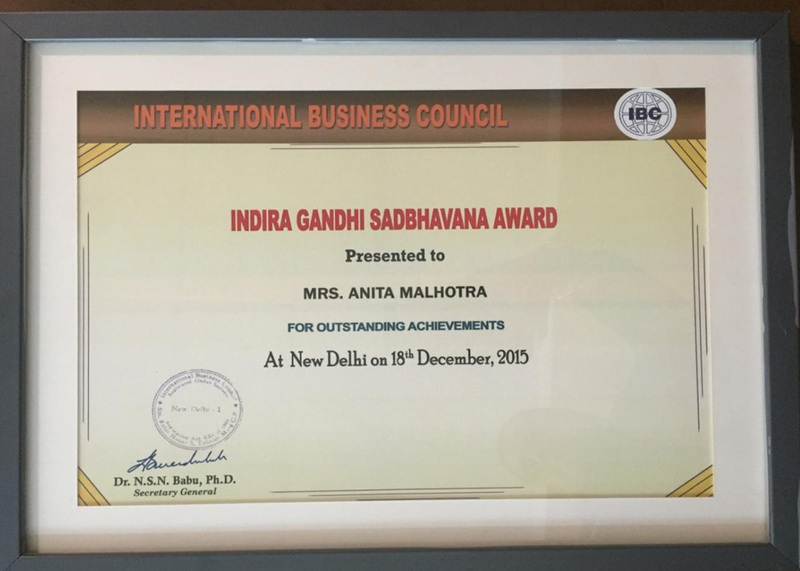 MRS. ANITA MALHOTRA WAS AWARDED THE “INDIRA GANDHI SADBHAVANA AWARD” FOR OUTSTANDING ACHIEVEMENTS AT NEW DELHI ON 18TH DECEMBER 2015. 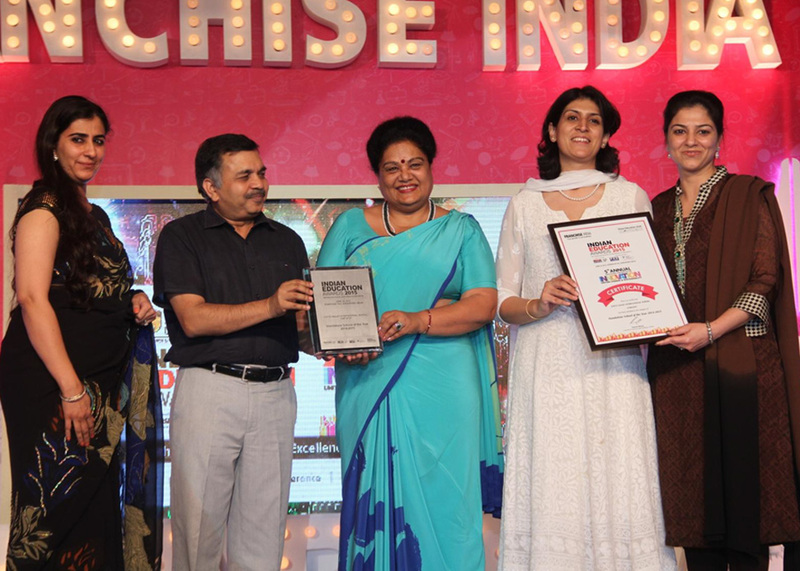 Lotus Valley International School, Gurgaon won the “Best Stand Alone School of the Year Award - 2015” at the Indian Education Congress 2015 - 5th National Convention on Indian Education organized by Franchise India. 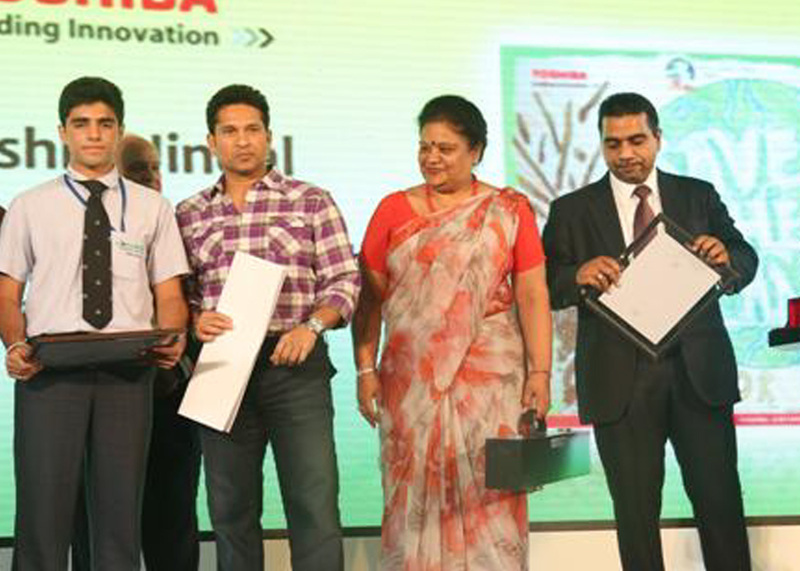 Lotus Valley International School, Gurgaon, received “Bat for the Planet Award” and was felicitated by the legendary batsman Mr. Sachin Tendulkar. 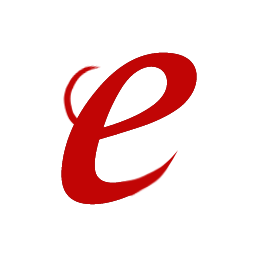 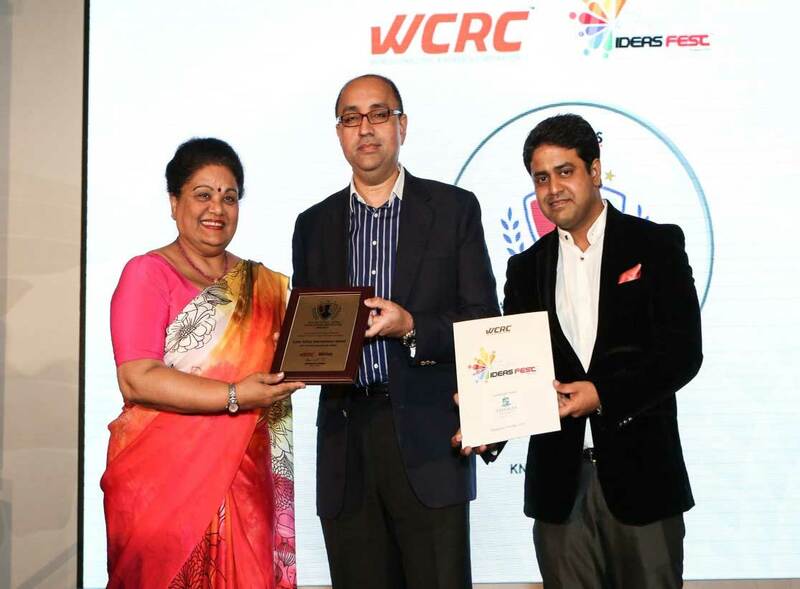 ASIA’S BEST & FASTEST GROWING EDUCATIONAL INSTITUTE 2015’ BY WCRC. 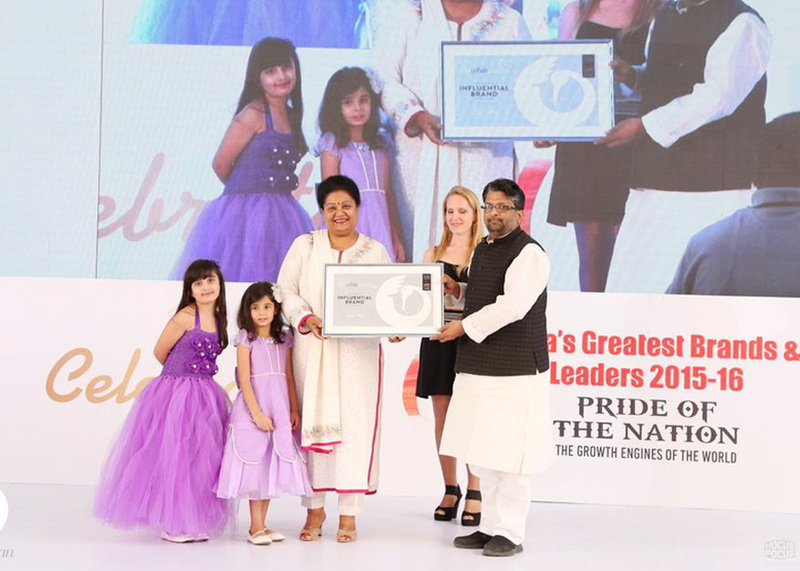 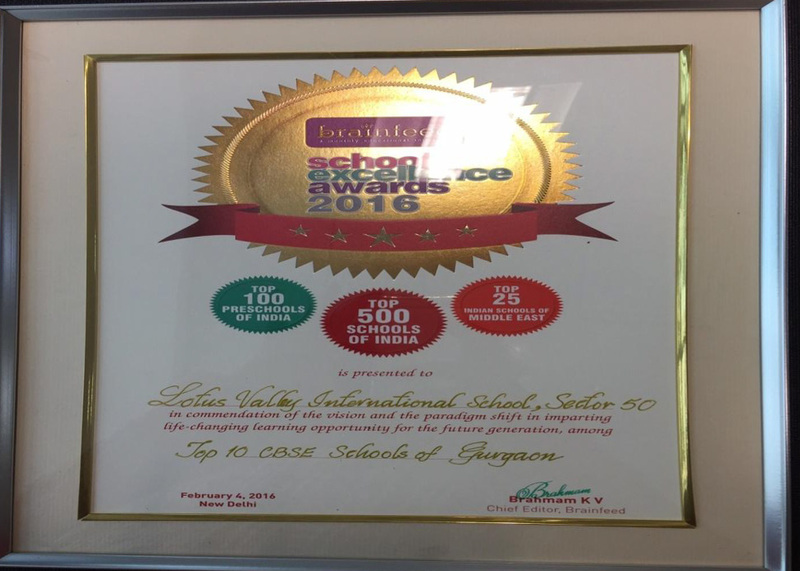 Lotus Valley International School won as the Asia’s Best & Fastest Growing Educational Institute Award -2015’ by WCRC. 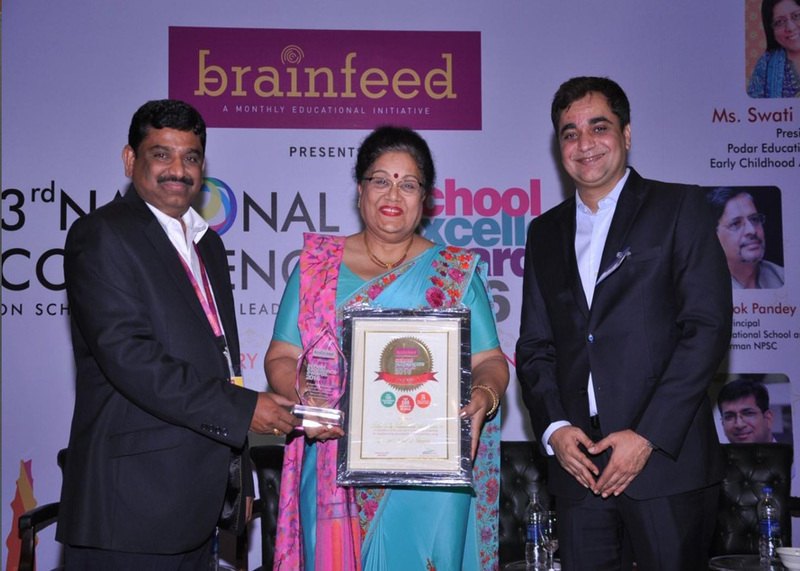 MRS. ANITA MALHOTRA, LOTUS VALLEY INTERNATIONAL SCHOOL, GURGAON WAS AWARDED “TEACHER’S EXCELLENCE AWARD - 2014” BY CONFEDERATION OF EDUCATION EXCELLENCE. 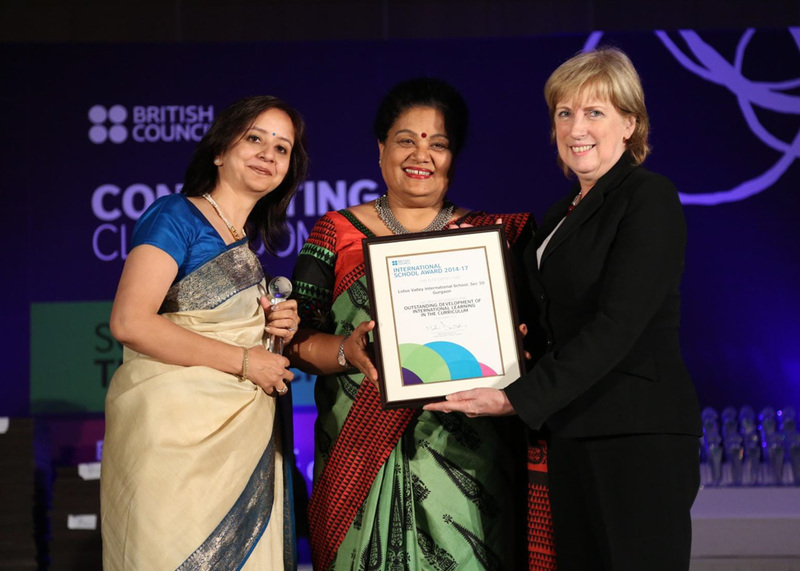 LOTUS VALLEY INTERNATIONAL SCHOOL, GURGAON WON THE INTERNATIONAL SCHOOL AWARD( 2014-17) BY THE BRITISH COUNCIL. 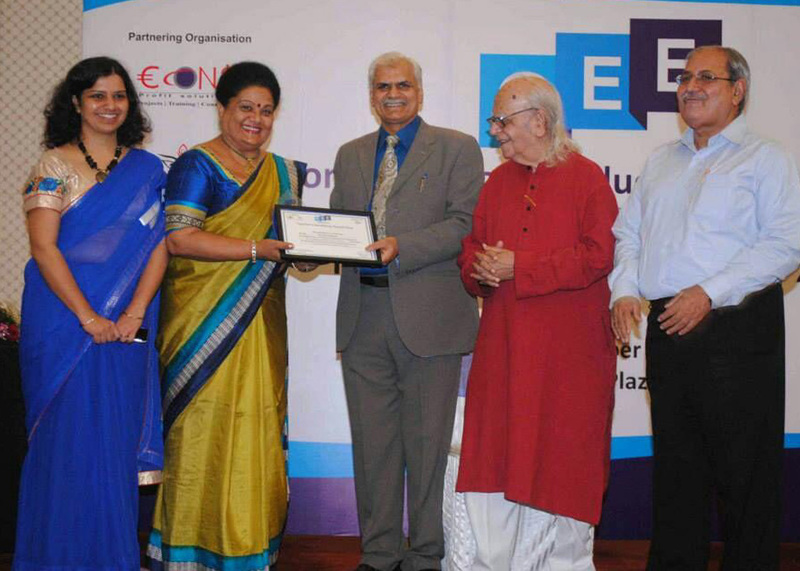 Mrs. Anita Malhotra receiving the most coveted and prestigious “ CBSE National Award - 2012” for her contribution in the field of education and for innovation in class-room teaching. 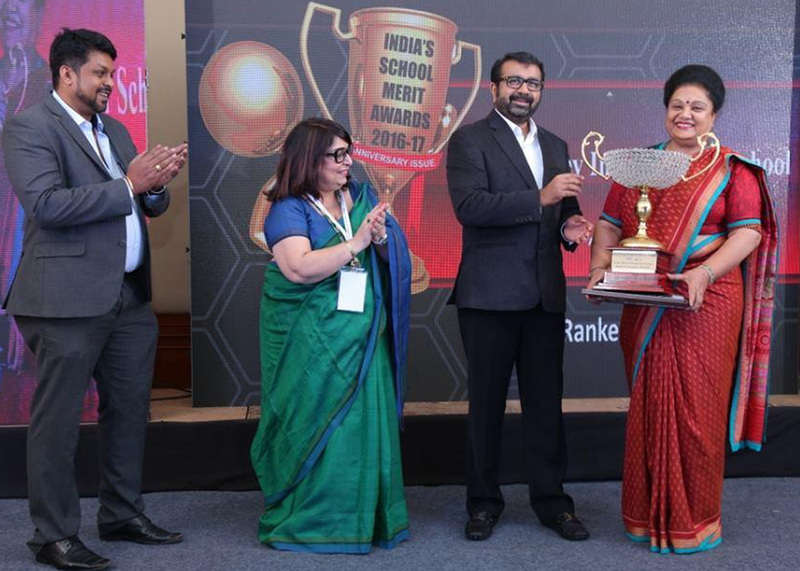 The award was given by Dr. M.M.Pallam Raju, Hon’ble Minister of Human Resource Development, Govt of India, New Delhi in the presence of Dr. Shashi Tharoor and Mr. Jitin Prasada, Hon’ble Minister of State for HRD, Govt of India respectively.